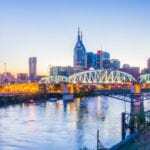 NASHVILLE, TN — Footraces are being run downtown Saturday morning to raise money for a foundation that donates proceeds to K-12 public schools here. 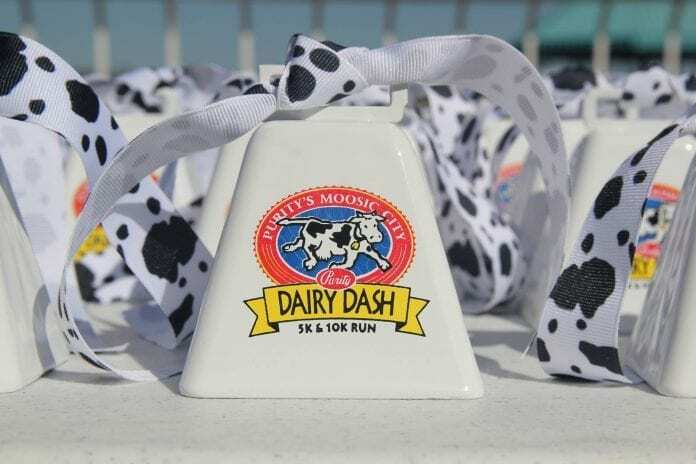 It’s the 17th Annual Moosic City DairyPure Dash hosted by Purity Dairies to fund PENCIL, a local organization committed to linking community resources to Metropolitan Nashville Public Schools. The charity run has set a goal to raise $125,000 for the nonprofit organization to engage community leaders to support public schools. This year’s Moosic City DairyPure Dash is one of Nashville’s largest charity runs. The first starts at 7 a.m. on Saturday, April 15, at Metro Center, 200 Athens Way. The Purity Moosic City DairyPure Dash is expected to attract thousands of runners and walkers from across Middle Tennessee to participate in its four events which include: the Purity Dairy 5K/10K Run or Walk; “The Smitty,” a 15K Run sponsored by Regions; and the Glenn Wunder Mighty Mile sponsored by Lee Company. All courses are fast, flat, certified and timed using the ChampionChip System. Created in 2000, The Purity Moosic City DairyPure Dash began as a 5K Race and one mile walk to honor Glenn Wunder who died of pancreatic cancer. The inaugural race raised more than $5,000 for the American Cancer Society. Since then, the DairyPure Dash has raised over $600,000 for local nonprofits such as Vanderbilt Children’s Hospital, Gilda’s Club, Alive Hospice, and most recently, High Hopes. Over the years, the race has also evolved by adding new races and activities to support its growing number of attendees. Just last year, the DairyPure Dash added “The Smitty” 15K, sponsored by Regions in honor of Frank Schmidt, a well-known local runner and race director who’s helped lead the DairyPure Dash since 2000. All race day participants will receive a commemorative long-sleeve technical shirt, a finisher medal and free post-race refreshments including Purity ice cream, DairyPure milk, TruMoo, and mac and cheese. The DairyPure Dash will also feature music and family-fun activities. Overall male and female winners will receive a one-year supply of Purity ice cream. Top three finishers in the Overall, Masters, Grandmasters, five-year age category, nine and under, 80+ and Wheelchair categories will also receive awards. In addition, the top three 14 and under finishers in the Overall will receive the Glenn Wunder Mighty Mile Award. Runners can pre-register now or register on the day of the race for a higher fee. Event times are: 7 a.m. for the Lee Company Glenn Wunder Mighty Mile Run/Walk; 7:30 a.m. for the 5K Run/Walk; and 8 a.m. for the 10K and Regions Smitty 15K. For more, see puritydairydash.com, or active.com.